Thank goodness for our late season workhorses. 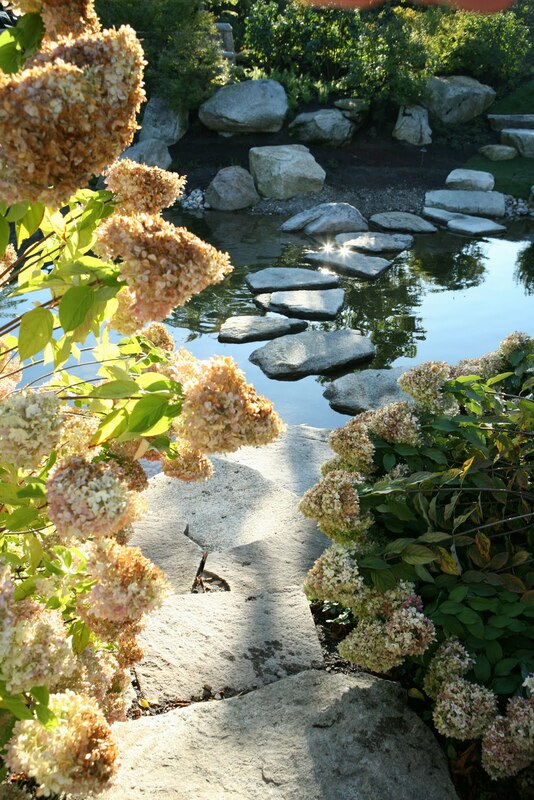 The one tried and true shrub that is blossoming in the midst of our fried landscape is ‘Limelight Hydrangea’ Hydrangea paniculata ‘Limelight’. If you are looking for one woody shrub that bridges the color gap between summer and fall, consider this Hydrangea variety. Right now, it is in its early to mid bloom cycle; cream with subtle hues of lime-green. As the blossoms mature, the flowers offer pink and mauve highlights late into the fall season. 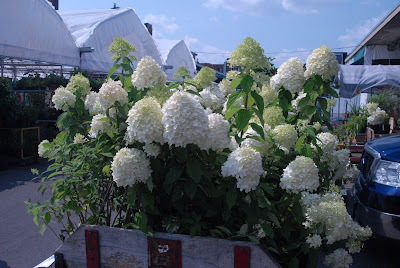 If you haven’t tried this Hydrangea, wait another week or so and find a nice specimen at your local nursery. You can still plant this deciduous shrub late into the year; before the ground freezes. Locate in full sun but try to protect it from direct, hot afternoon heat. East facing locations are best. The blossoms will last longer. Excessive heat stress can cause mid-day droop. Give it plenty of room to mature. Hydrangeas are workhorses in the plant world and this one is a honey. It has been heavily marketed in the cut flower industry but here’s reinforcement that this variety is as a must-have for your garden. Here’s to finding the ‘Limelight’. It’s a hall of famer for the garden. To end with our inspirational quote, let’s use the words of Audrey Hepburn. “There are certain shades of limelight that can wreck a girl's complexion.” We must tell Audrey that this shrub isn’t one of them!